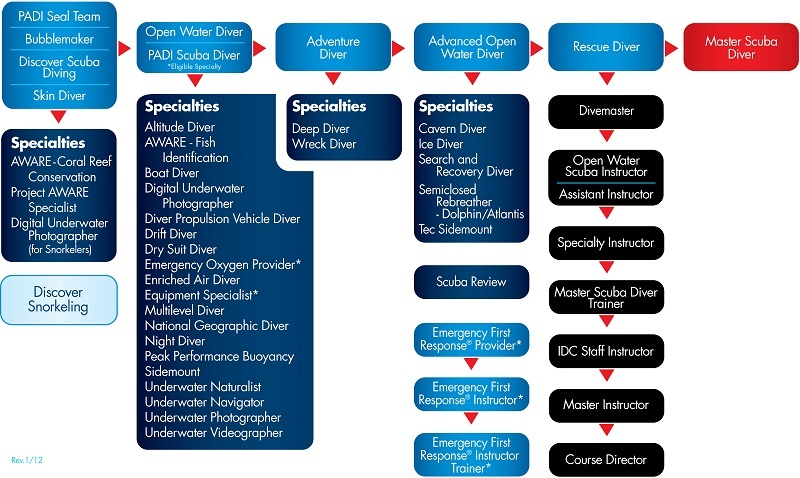 A PADI Dive-master is a Dive Professional, with expert knowledge and proven leadership skills. This is a comprehensive training program qualifying you to supervise certified divers and assist instructors in training students. You will be able to work in the dive industry anywhere in the world! Love scuba diving? Want to share it with others on a whole new level? Take the PADI Dive-master course and do what you love to do as a career. Scuba divers look up to Dive-masters because they are leaders who mentor and motivate others. As a Dive-master, you not only get to dive a lot, but also experience the joy of seeing others have as much fun diving as you do. The PADI Dive-master course is your first level of professional training. Working closely with a PADI Instructor, you’ll fine-tune your dive skills, like perfecting the effortless hover, and refine your rescue skills so you anticipate and easily solve common problems. You’ll gain dive knowledge, management and supervision abilities so you become a role model to divers everywhere. 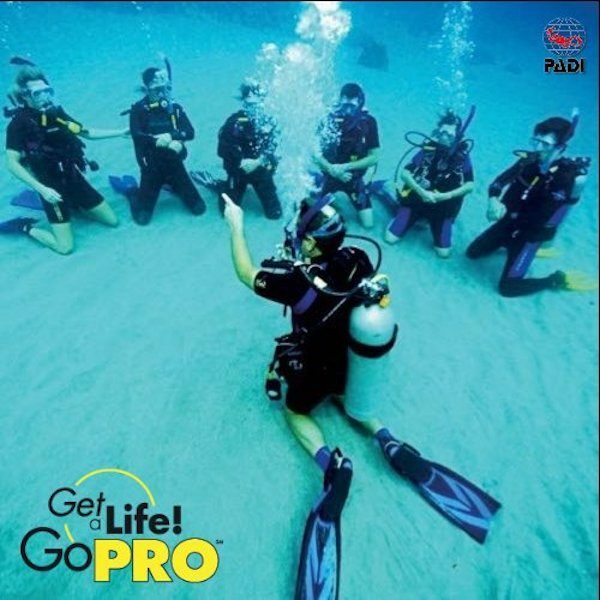 As a PADI Dive-master, you’ll lead others as you supervise scuba diving activities and assist with diver training. Whether you want to work at a faraway dive destination or close to home at a local dive shop, the adventure of a lifetime awaits you. PADI Dive-masters are respected dive professionals who are aligned with the largest and most respected dive organisation in the world. Don’t miss this wonderful and exciting opportunity! Take that first step and book your scuba diving course. CLICK HERE so see all our scuba diving packages available.. Our friendly staff will be happy to assist you in arranging all your scuba diving requirements. Please note: All course prices include complete rental from our range of the latest and most modern diving equipment; transportation to and from the dive sites in one of our air-conditioned mini-buses or by RIB boat; plus PADI certification on successful completion of your course. A medical statement sign by a physician within the last 12 months. Note that qualifying certifications from other diver training organisation may apply – ask your PADI Instructor. Streamline your equipment will help minimize the risk of entanglement accidental disturbance to prevent damage to corals whilst diving. Taking photo or video, use a stick or poker to stabilize your self-causing minimal contact with coral, do not use or touch coral with hand or legs to stabilize yourself.